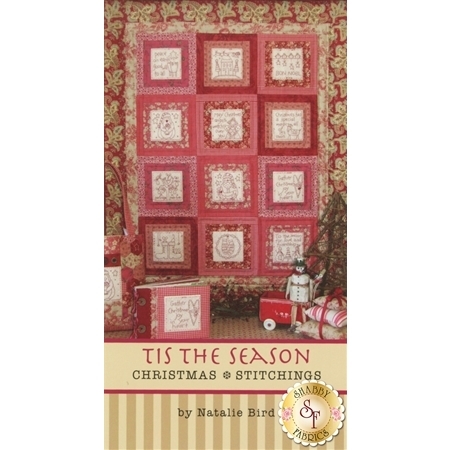 Christmas themed 48 page small flip book by Natalie Bird of The Birdhouse Patchwork Designs. 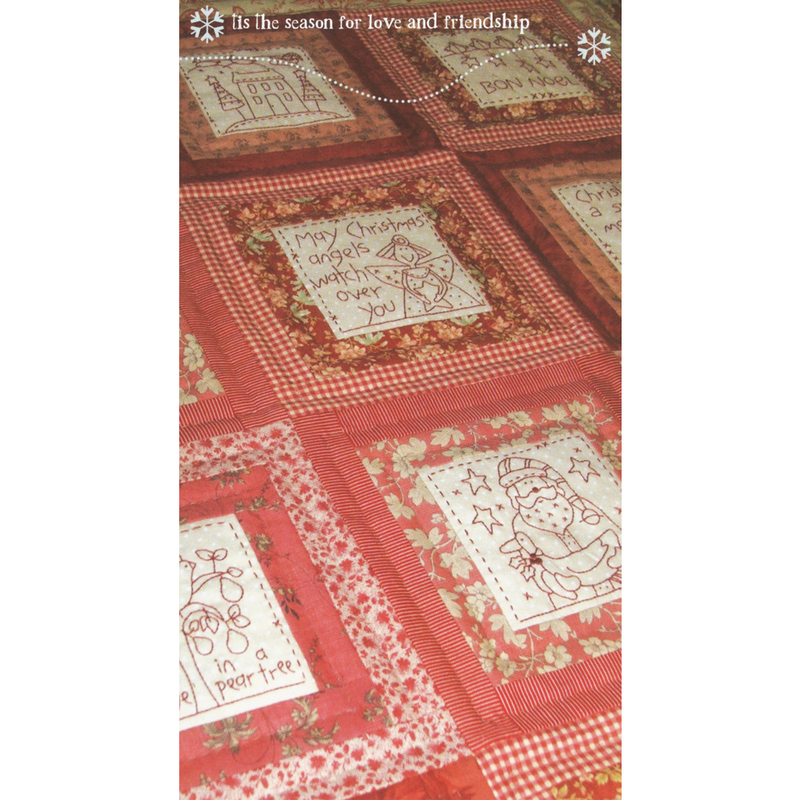 Featuring a festive lap size quilt 33" x 41" with 12 hand embroidered blocks. 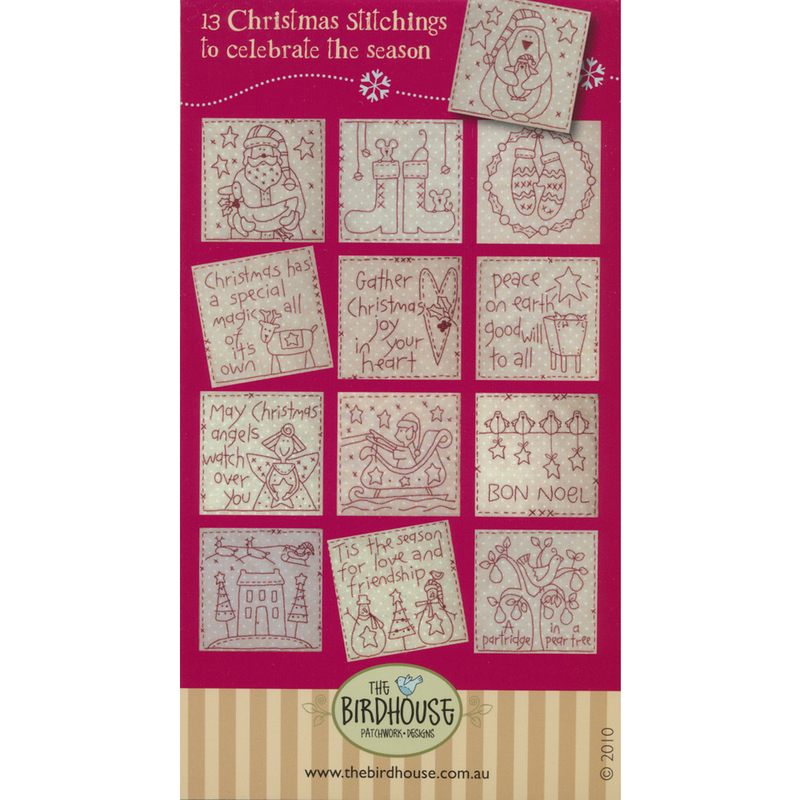 Additional projects also included; Chilly Penguins Bag, Bon Noel Wall Hanging, Christmas Joy Scrapbook Album, Christmas Angels Hanging Pocket & Christmas Angels Cushion.